The last of my long-time animal companions has passed away. 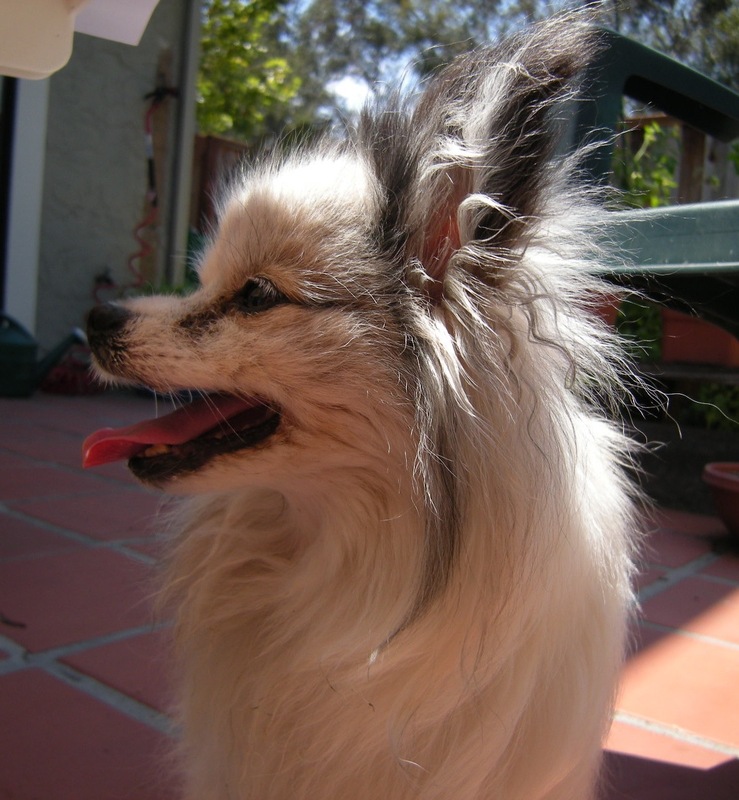 Willie, our dog, lived to be just shy of 17 years old. He was in very fragile health for the last three months. He started having seizures in May, probably due to a brain tumor. He also was bothered by a chronic cough, which the vet did not consider to be life-threatening but which certainly made his life and ours less pleasant in the last couple months. It was like taking care of an aged parent; Kay bought a pill box to keep track of Willie’s medications. We had to give him five different drugs — one anticonvulsant, two for his coughing, one for his heart (the vet had diagnosed an enlarged atrium, which was probably the cause of his cough because it bumps up against the lungs), and one steroid. If he had a brain tumor, the likely cause of the seizures was a buildup of fluid in the brain, and the steroid would reduce the swelling … but not forever. On Sunday Willie had four seizures within a 24-hour period and he did not really seem to recover all the way from them. With the prospect of more seizures to come and no real way to slow down his deterioration, Kay and I made the wrenching decision to have him humanely put to sleep. Although it is easy at this moment to focus on his final sickness, I also want to remember the long and happy life Willie had with us, and all of the love and companionship that he brought us. Here are some of my favorite Willie pictures. My wife named her business (Quilt Puppy Publications) after Willie. And here is the original Quilt Puppy himself. 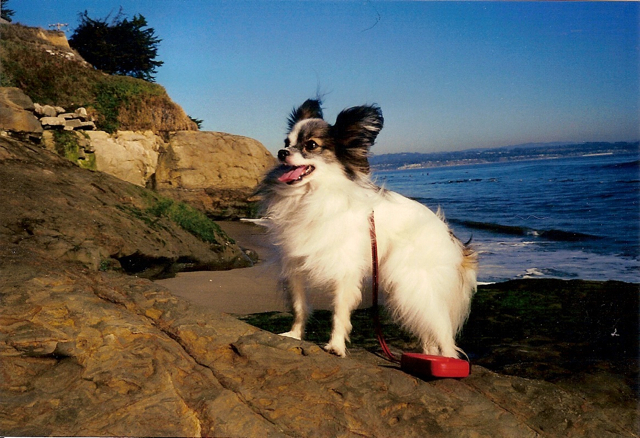 Willie strikes a heroic pose at the beach. This was probably taken in the first year or so after we moved to Santa Cruz. To be honest, he didn’t like the beach that much — he was definitely NOT a water dog. However, the one thing he did like was the open, flat space for running around. Wherever we went with Willie, people would always tell us how cute he was. I always said that going for a walk with Willie was like going for a walk with a movie star. Also, people would try to guess what kind of dog he was. 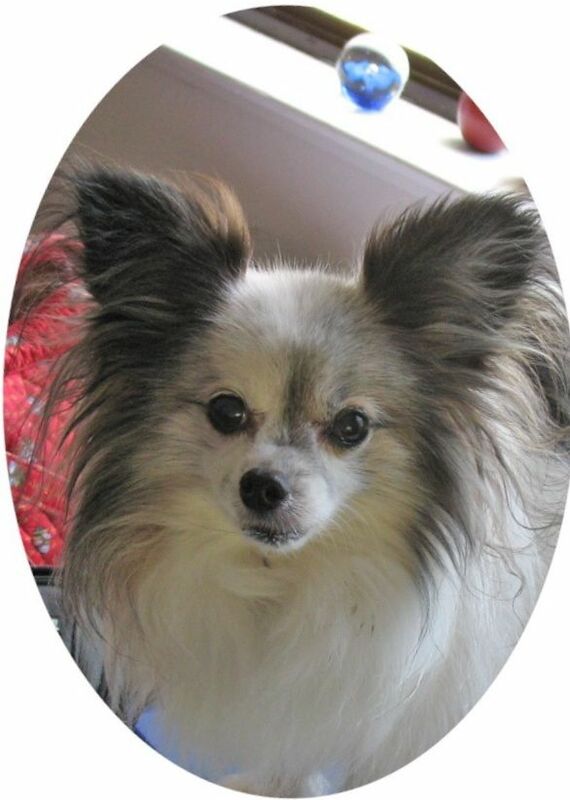 Long-haired Chihuahua? Pomeranian? No, he was a purebred papillon. 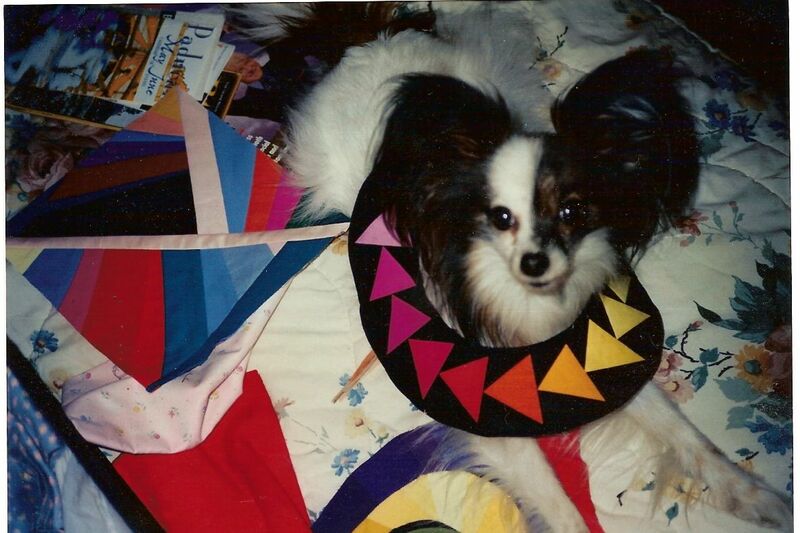 Over the years it seemed as if more people had heard of papillons, especially after a papillon named Kirby won Best of Show at the Westminster Dog Show in 1999. Still, they remain a relatively unknown breed to the public. 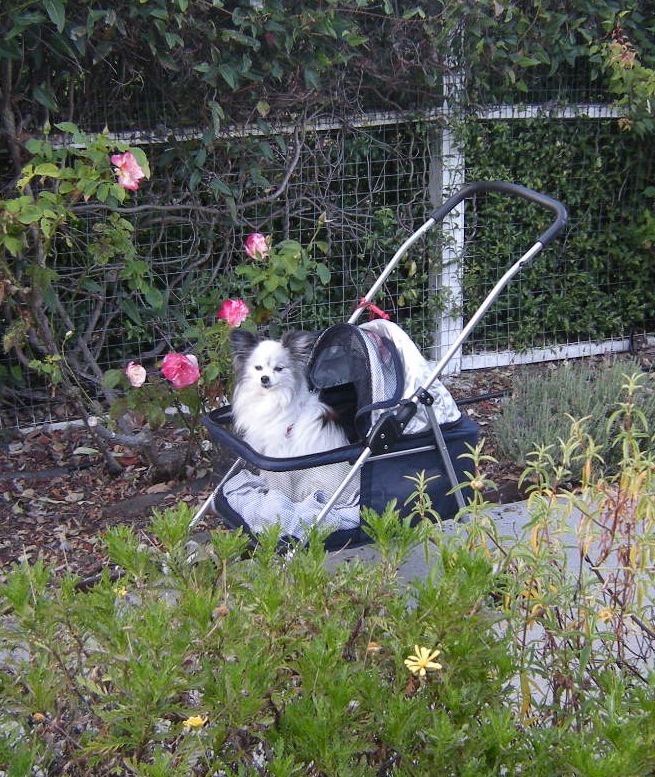 This summer, after Willie started becoming too weak to finish our regular walks to the garden, Kay bought him a stroller. She is amazing! I would never have dreamed that they make puppy carriages. Willie was, surprisingly, quite content to trundle along in it. I expected him to want to get out and smell all the smells, but maybe he liked the special treatment and being a little higher up than usual. This is the last good picture I took of Willie, out on our patio a couple weeks ago. Animals age so much better than people do. You look at this picture and you see a dog that’s happy, not a dog that is unsteady on his feet, coughing, having seizures, and all the rest. For really long-time ChessLecture subscribers, there might be a lecture or two where you can hear Willie barking in the background. There aren’t many such, because if he was in the room where I was recording, the barking would be too loud and I would stop and wait for him to finish. Then the barking part would be edited out later. As great a blow as his death is, it will of course also be a relief in some ways. His infirmity limited my ability to travel to tournaments and even to go anywhere around Santa Cruz to play chess. After the seizures started, either Kay or I had to be with Willie at all times. Even something as simple as a weekend trip for both of us was out of the question. (We could not see leaving him in a kennel in his condition.) 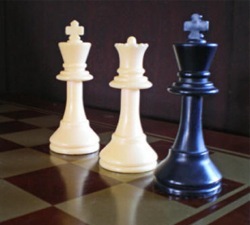 Now I will probably start getting out a little bit more — and you may actually see a little bit more chess in this chess blog! If you want to see and read more about Willie, we’re telling the story of his life since puppyhood over at a blog that Kay started, “The Most Excellent Life and Times of Willie, the Quilt Puppy.” It’s all written as if Willie were telling the story himself. One warning: we haven’t quite gotten caught up to date yet. Please do not leave any comments there that would give away the fact that he has passed away. We want to tell the whole story just as if it were happening in real time, and it will probably take three or four more months for us to get to the end. Thanks! My condolences to you and your wife Dana. My wife and I have a dog that we got about three years ago and who is now 11. Never having had any pet before, I have been continually surprised by how much love I have experienced for our dog. We are certain that we will have much grief to bear…and I can’t imagine how hard it must be for you both. Certainly creating his story will help you remember all the good times shared. I am sure money can’t buy all the happiness your Willie brought into your lives. Thanks for your message! If your dog is still happy and healthy, just enjoy it and try to save up the memories. It will help in the harder times. Just like in chess, our vision in life is limited. When Willie was young and healthy, I couldn’t imagine him ever being different. When he was old and feeble, I forgot what a great lap dog he had once been. So if there’s anything different I would do, it would be to not take it for granted quite so much when he’s young, and hang on to those memories so that I wouldn’t forget them when he was old. Previous post: Stop Presses II … Elizabeth Vicary Gets Hitched!